This Hammered copper end table is 24″(square top) x 25.5″(tall). 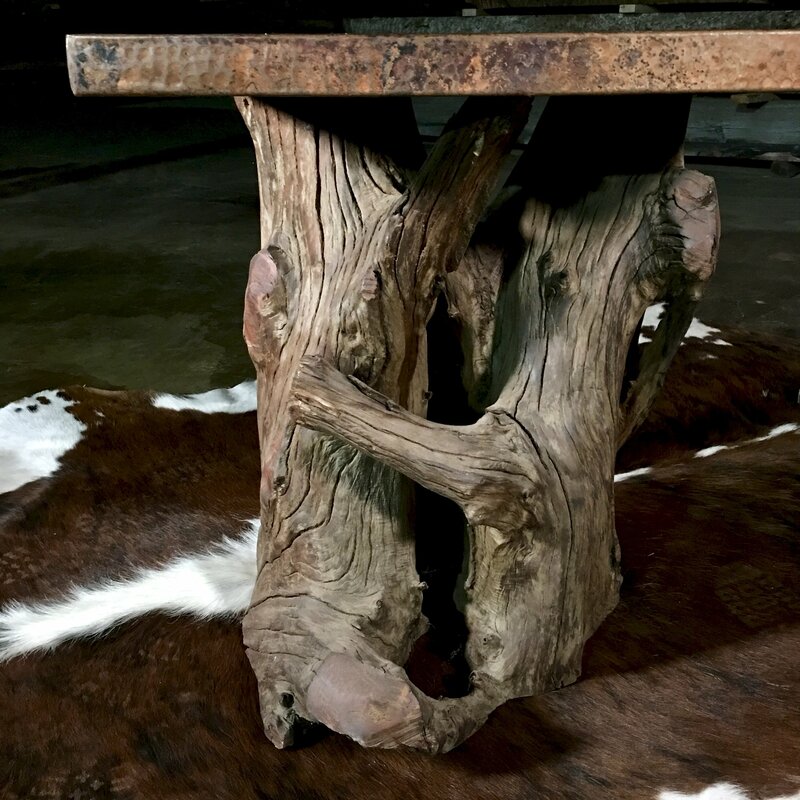 Hammered copper rustic end table has a 2″ thick copper top with a salvaged redwood root. 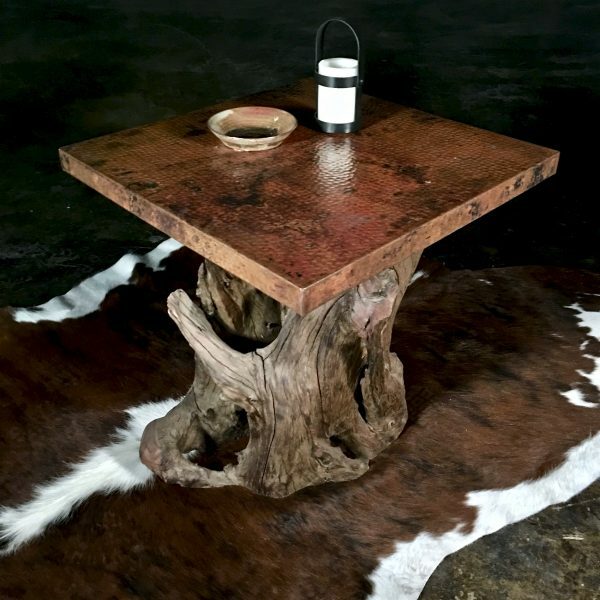 The hammered copper table top is 2″ thick with a natural copper patina. 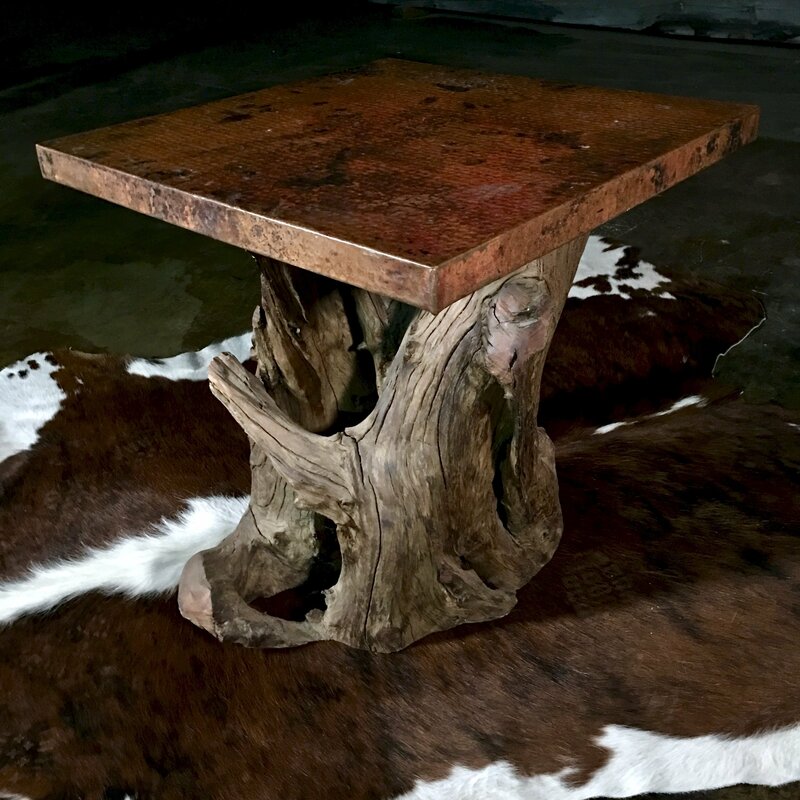 This style rustic table is customizable but each is a one of a kind. With dining tables and console tables also available by custom order. 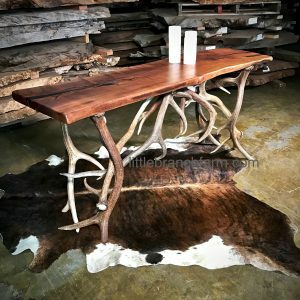 While copper tables are an option we also design and build live edge dining tables along with other natural wood furniture. 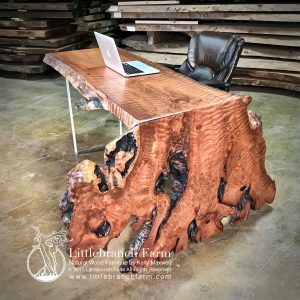 Using natural wood material in our custom wood furniture designs allows us to be creative. 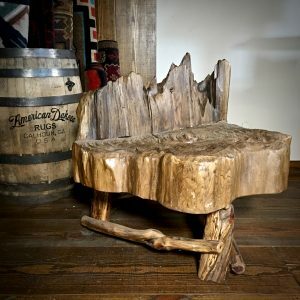 Our artistic wood furniture is also functional. 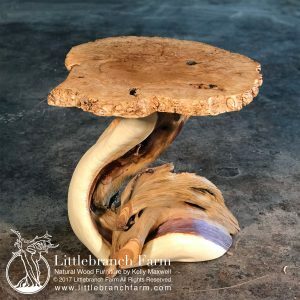 We welcome custom orders if you can visit or Nashville, TN studio. Also, you can work with us via phone and email. We look forward to meeting and working with you.